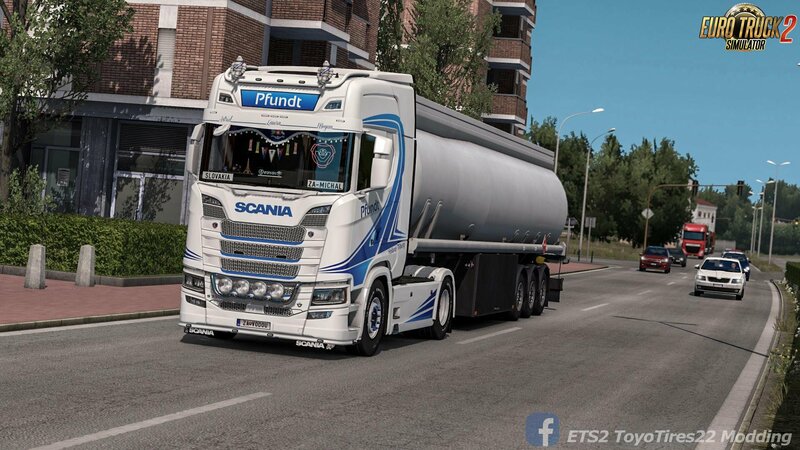 Pfundt Skin for Scania S 2016 v1.0 (1.32.x) for Euro Truck Simulator 2 game. 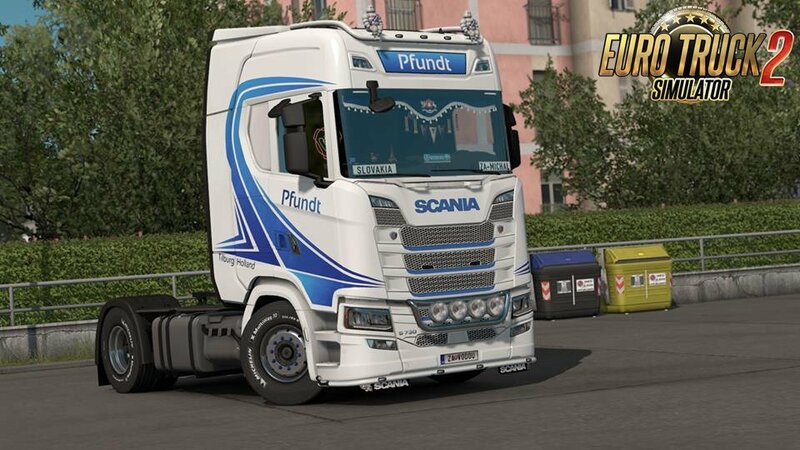 Pfundt skin is maded for a Scania S 2016. Working only High Roof version. Working only with game version 1.32+ and up !!!!!! Don’t reupload it on other site with an other link. Respect the original link !! !